As we’ve said in our past blogs, we are on a mission not only to maintain roofs, but to empower our clients to make the best decisions for their roofs. We want you to feel like you know what you’re talking about when we have a conversation about how to move forward with your roof. The good news is, once you know a few common terms, you’ll be able to understand a lot more. You’ll look at your roof with new eyes! This is the unit of measurement used for roofs. It consists of 100 square feet. When we assess your roof and give you numbers, you will see that we use this. We also use this term when ordering shingles. These noble metal strips bring your roof system together. Without them, your shingles would be worthless. They’re used in all seams, joints, and around any projection in the roof system, and they prevent water from seeping under the shingles. A drip edge makes sure that any water falling off your roof lands at a distance from the house. It’s installed along all the roof edges, and it protects decks, siding, and eaves from water damage. Felt adds another protective layer under your shingles. It’s sometimes called tar paper, because it’s material that’s been saturated with asphalt for extra protection from water. 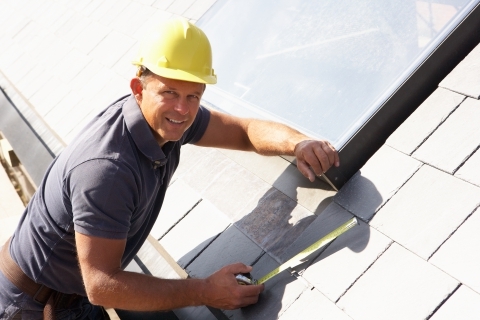 The professional team at Tim Leeper Roofing is dedicated to transparency. When you work with us, you will always know exactly what’s going on and what it will cost. Contact us for gutter installation and more!